Tonight’s run was relatively short, but quite tricky to carry out. When creating #ArtOfRunning pieces over such short distances, there’s not much room for mistakes. Even a small detour can be disastrous for the overall image. For this route I cached the pre-plotted map on my iPad at as high a resolution as possible, and then ran, iPad in hand, counting junctions and matching building roofs with what I saw on the street. Despite having no 3G network, the iPad did a pretty good job of tracking my position via wifi – that was until, at the top of the T, my wifi router suddenly stopped working for no particular reason. Still, by then I’d got into the groove and was able to complete the run without. 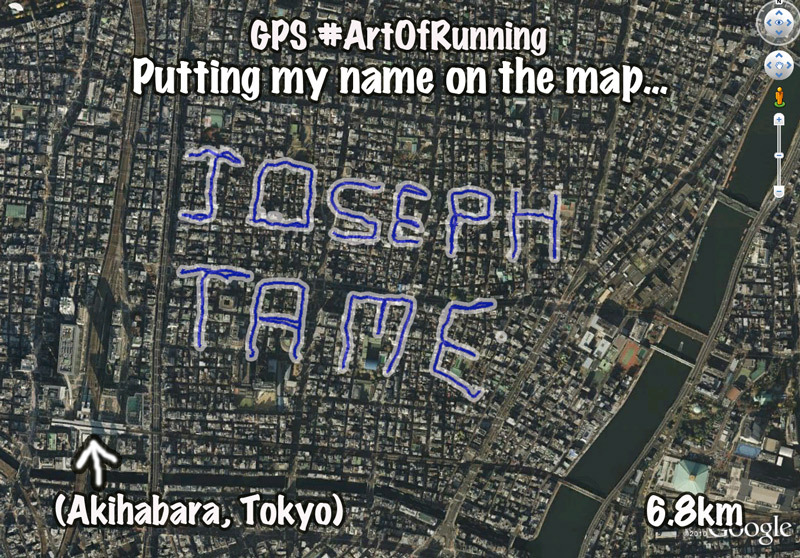 It’s the first time I’ve written anything with GPS. This particular area of Tokyo works well for block letters, due to its grid layout. There’s not too may areas like that around here. 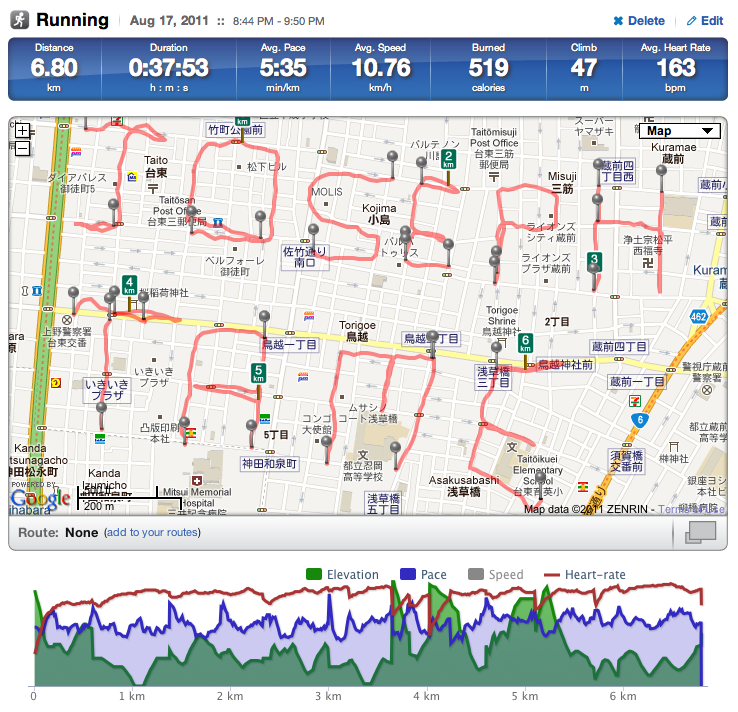 View the original data on Runkeeper here.